I am so pleased to be a part of the Toronto District School Board and have received such a warm welcome from trustees, staff, students, parents and the wider community. My focus is on student achievement and supporting all students to succeed. We are the largest and most diverse school board in Canada. Our students have access to some of the most innovative programs and courses in the country. I am proud to be a part of a board where students can access such a multitude of choices and are encouraged to find and pursue what inspires them. Most importantly, Principals provide schools with strong leadership, and our talented educators offer high quality instruction. Our schools offer a welcoming, safe and caring environment for students, parents/guardians and the community. I look forward to working closely with trustees, staff, parents and students to address some of the Board’s key priorities. Please check back to this site often, as I will be sharing my thoughts and insights as well as information about ongoing initiatives along the way. See more school visits here. John Malloy is the Director of Education at the Toronto District School Board. Dr. Malloy’s priority is helping all students succeed by ensuring that students have access to the programs, learning opportunities, and resources they require. He believes that student voice should be at the centre of student learning and should guide every decision made both inside and outside the classroom. His commitment to professional learning and his commitment to building strong relationships with staff, families, and communities enhances student engagement and success. Further, John supports a shared leadership model in the Toronto District School Board that helps to create a culture where the voice and experience of all students, staff, parents, trustees and community matters. 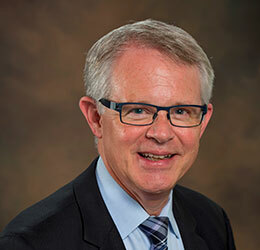 Prior to joining the TDSB in January 2016, John served as Assistant Deputy Minister with the Ontario Ministry of Education and as Director of Education for the Hamilton-Wentworth District School Board.Before that, he was the Superintendent of Education with the York Region District School Board and the Durham Catholic District School Board.